Many companies today find themselves in a situation where they have a working product, but adding new features takes forever. Even worse, when new features are added, old features stop working. A product owner who cares for a backlog with prioritized stories. A team that cares about their craft and take responsibility to deliver a subset of new features every month. A scrum master that makes sure the product manager and the team are playing by the rules of Scrum. But, what if you are not living in la-la-land where everyone on the project cares about the product? What if your product manager doesn't keep a prioritized log of testable stories because she doesn't care. She just works here! What if your team cares more about going surfing, than delivering well-tested, high-quality code. Scream is project management for the real world! Scream is the way of managing unmotivated development organizations. The method itself is not new, it has been used for centuries to manage everything from husbands to entire countries. A product manager who handle the requirements. A team whom will develop the requirements. A Scream master who will make sure that the team is playing by the rules of Scream. At first glance, it looks deceptively like Scrum, but the rules are different: The Scream master is responsible for the product being delivered at high quality and may use any means he sees fit to make it work. Now all you need is a Scream master with enough gust to deliver. 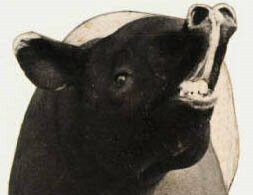 Francis Begbie is an aggressive pit bull terrier, a monstrous, brawling hard man ready to explode at any moment, at anyone, for any reason. Begbie isn't afraid to test his fighting prowess against the largest of opponents. "Begbie didn't do drugs, he did people," says Renton. His sole ambition seems to be to jack someone in. After you have selected the Scream master, you have to let him know that he will be judged on the performance of the entire development team, including, the product owner. All stories in the backlog, must be SMART, Specific, Measurable, Attainable, Realistic and Timely. The code should be DRY. 100% unit-test coverage of all non-trivial methods. Acceptance test for all stories. The you set the project in motion. The backlog items are not SMART. The product owner says: "I didn't have the time." Begbie: Slaps her face, "You daft c**t, these items better by SMART, right f***in' now, or I will glass you." Bugs appear in production, due to missing unit tests. A developer says: "It worked on my machine." 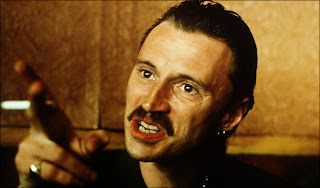 Begbie: Punches him in the nose, "You f***in' buftie, if one more bug enters the system on your account you've f***in' had it." You ken me, I'm not the type of c**t that goes looking for f***in' bother, like, but at the end of the day I'm the c**t with a pool cue and you can get the fat end in you face any time you f***ing want, like. A scream is not only against his team and product owner, he is against everyone. This makes him excellent for dealing with impediments. 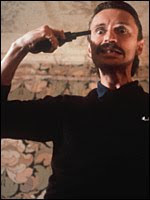 Project management is all about communication and motivation and no one can get the message through like Begbie. Begbie: "I need access to the Active Directory." SA: "I don't have the time." Begbie: "I need access to the Active Directory." SA: "You need to fill out this form." Begbie: "I NEED ACCESS TO THE ACTIVE DIRECTORY." SA: "OK, here you go."